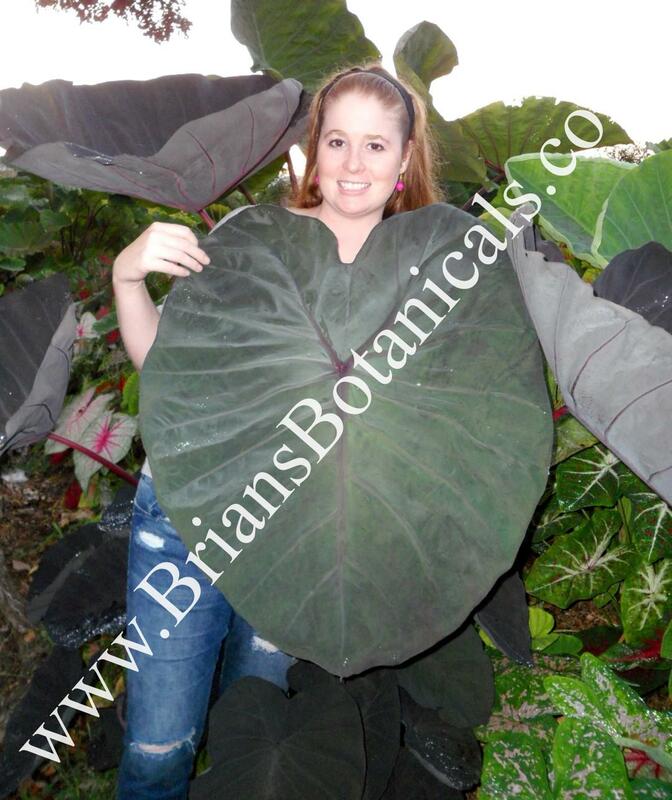 Colocasia Dragon Heart Gigante?PP26890 was noticed early on in the trial beds for being a vigorous large grower. Noted as black magic on steroids this hybrid has some unique bloodlines and has made it’s way into our Gigantes series. The foliage is huge black heart shaped leaves which tend to have a slight felt or velvet feel. Leaves can grow 3 feet long or more and 2 to 3 feet wide. New foliage will be green and turn darker in full sun. Plants here grew well over 6 to 7 feet tall. It will be interesting to see how large this hybrid can get for others. The petioles are a dark maroon color and it makes a tight clumping plant. Plants will be sold in 4 to 4 1/2 inch pots.